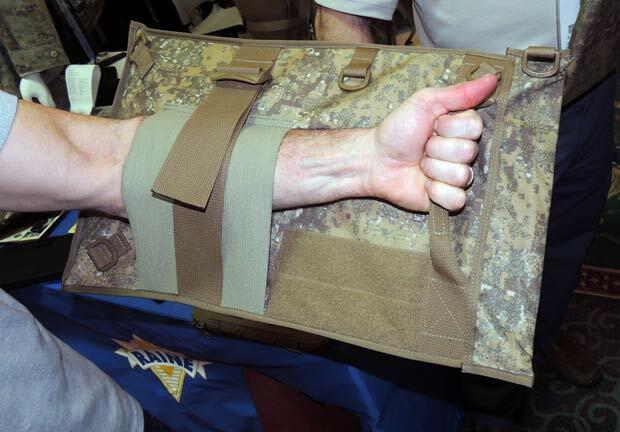 The SHOT Show produced some interesting new products for the law enforcement community, and the Xtreme Alternative Defense Systems (XADS) Light Shield was one of those items. XADS is based out of Anderson, Indiana, and has been producing life-saving less lethal and anti-material directed energy weapons since 2002. XADS has two retired Lt. Generals and a retired Indiana SWAT commander on its advisory board to ensure their products meet real-life operator needs. XADS has already produced the Threat Assessment Laser Illuminator (TALI) which is focused green laser technology designed to temporarily incapacitate suspects. The TALI has helped stop vehicles at military checkpoints, and disorient suspects on high risk police incidents. A similar technology is the TR3 long range laser illuminator that was designed to prevent pirates from successfully engaging merchant ships. Another technology of XADS is XAP, which is a confidential military product designed to detect, and pre-detonate IED’s. The XADS Light Shield is designed to be light weight, and partly flexible ballistic shield with the option of having a mounted light as well. Having carried a variety of hardcover shields, I’m always interested in ballistic protection that is lighter and more flexible. Designed for law enforcement, SWAT, and security forces, the XADS can be more easily stored and carried than many traditional hard-backed ballistic shields. The outer shell is made of Raine Black’s proprietary VECTOR, ultra-light, laser cut material. The XADS provides NIJ Level IIIA/AK Kevlar ballistic protection. The XADS Light Shield can be carried by attaching the non-dominant arm to the outer carrier’s tension straps and velcro. There is also a nylon sling so the operator can carry the XADS around the neck, and have a more “hands free” carry method. In that method the operator could simply grab the velcro straps when needed for control. The XADS has a powerful LED light that is housed in a removable carrier that can be secured in the straps of the XADS. The reps claimed that the LED will have an amazing 32,000 lumens of blinding and disruptive light that can last for up to 30 minutes. The light is activated by a pressure switch mounted to the forward velcro strap. This pressure switch is similar to fore grip mounted pressure switches found on AR-15’s, where a squeeze of the fingers activates the light. XADS is currently testing options for the LED light mount, whose battery is housed in a boxy container on the back panel. There is also an optional titanium plate insert for the carrier under testing as well. 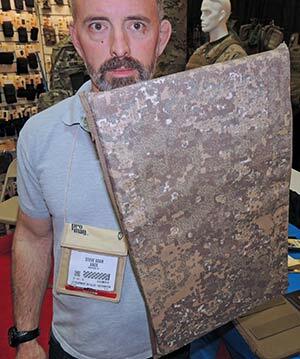 The XADS LightShield is nearly half the weight of most ballistic shields and even a couple of pounds lighter than the Protech Mighty Mite, that does not have a light source.